The challenge this year starts from the Parish Centre in Ardara at around 8.30am on Saturday, June 10th and ends in Drumarone. This is a very important fundraiser for the fund, and the support of all is so important, so do what you can to help by taking part or supporting some on the challenge. Ardara has applied to the tidy town competition this year. 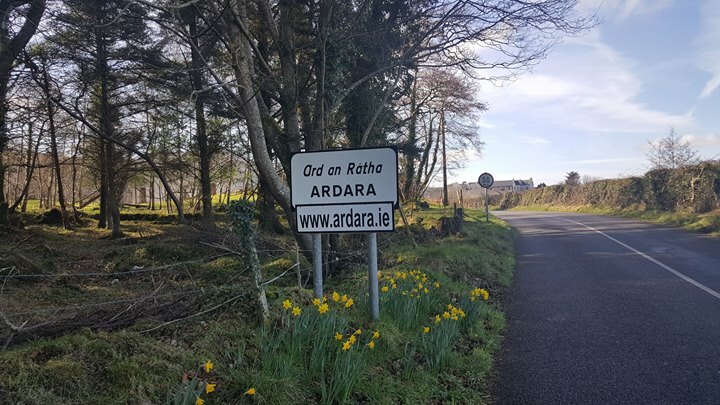 Adjudication is usually in June/ July, and we are asking everyone in our community to help make and keep Ardara tidy. Some buildings could do with a little painting, and garden area and public areas are all places of significance and should be tidied. The John the Tae Ardara branch of Ceoltas had a great success at the County Fleadh in Milford recently winning in many sections. We wish them every success as they go forward to the Ulster Fleadh. Pat Mc Gill has just announced the names of the top Bluegrass stars. Lorraine Jordon and Carolina Road as the headline acts for the festival which runs from 14th to 16th July. Well done Pat. Big Hugh Breslin celebrated his sixtieth birthday recently, and we all had a great night in Doherty’s. €570.00 was raised for the Alzheimer’s Association. Well done to all and Hugh, we are all so proud of you!